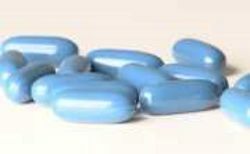 Medicare Supplements, Medigap, Part A , Part B Insurance in St John, Indiana - Eugene F. Sarkey Insurance Agency, Inc.
Everyone 65 and older is entitled to the basic Medicare coverage, but typically it only covers about 64 percent of the annual health-care costs. Added to the expense not covered by Medicare, there are deductibles, co-payments, and coinsurance to pay. This is why many choose Medicare Supplements and at Eugene F. Sarkey Insurance Agency, Inc., we can assist you in your Indiana insurance coverages. Rates for Medicare Supplements can vary greatly between different carriers and are usually based on age, location, gender, and health. You don't have to sort through this alone, our agents at Eugene F. Sarkey Insurance Agency, Inc. are committed to searching for the best rates and coverage which are affordable and meet all your needs.